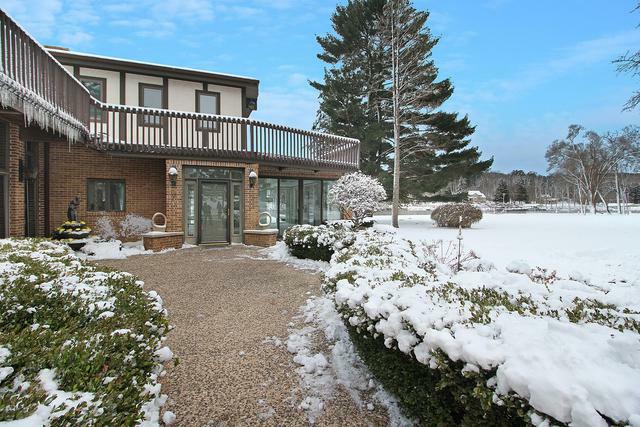 First time ever available for sale, this home sits on the most desirable area of the Fox River. Imagine waking up every morning to these breathtaking views from the unending windows that wrap around this home. 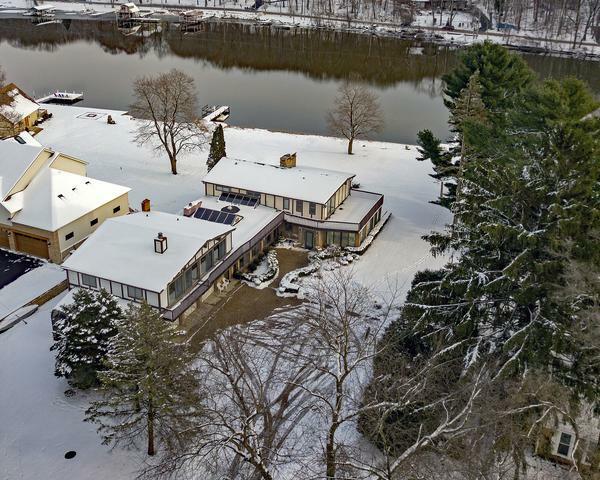 Situated on 1.56 acres w/ 150' of natural sand beach & private dock for all your watercraft. This open floorplan makes both indoor & outdoor entertaining an absolute treat. 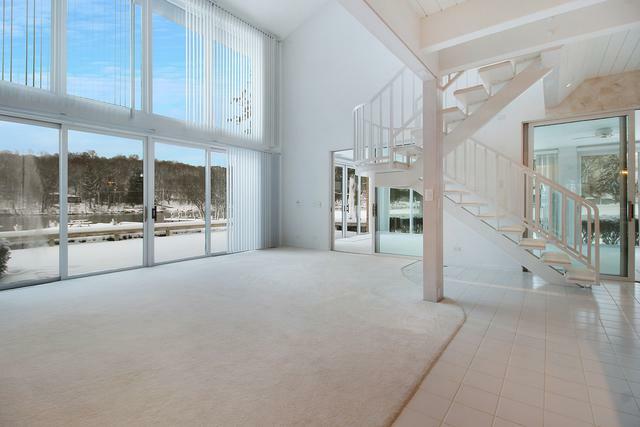 Expansive lower deck spans 3 separate rooms for easy entrance and exit. Kitchen opens to your indoor pool and roman hot tubs usable year round with heat, air & humidity control. Upstairs loft space with second wet bar & upper deck. 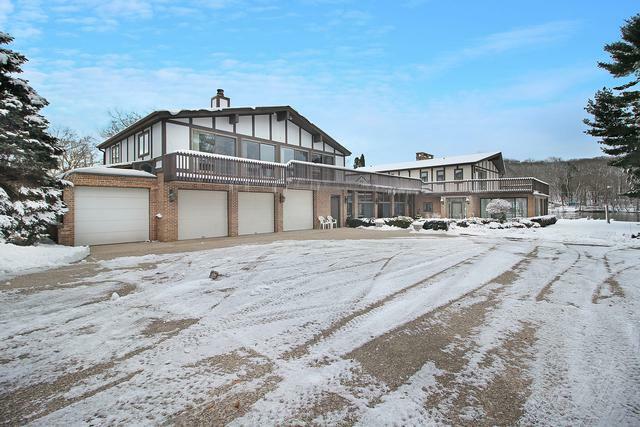 Massive 4 car heated garage has an atrium specific to house your boat and jet skis. Separate living quarters above the garage is ideal for the multi generational family, guest room or a rental. Utilize the unique aspects of this solid home, while bringing your vision and style to make it your own.